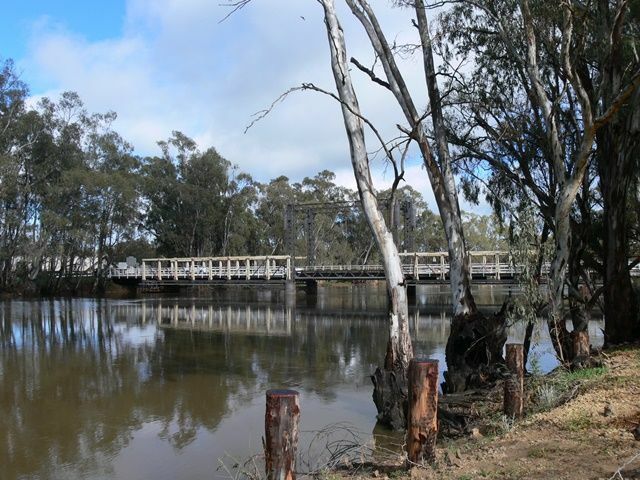 An Historic Engineering Plaque commemorates the Barham - Koondrook Bridge. E M de Burgh MICE, bridge engineer of the NSW Public Works Department, designed this bridge, consisting of the lift span with two composite timber and steel approach spans of a type known as de Burgh trusses. An improvement on earlier designs, it was built by Monash & Anderson of Melbourne and opened on 8 October 1904. The bridge towers were heightened in 1925 to allow paddle steamer passage during floods and the opening span is still operational.